If you would like to post an ad to sell your fiber arts equipment, or are looking for something, please contact Janean Easley. If you wish to donate an item to the guild, please contact Sidsel Moreb. Ravelry.com is also a wonderful resource to find or sell things locally and beyond. 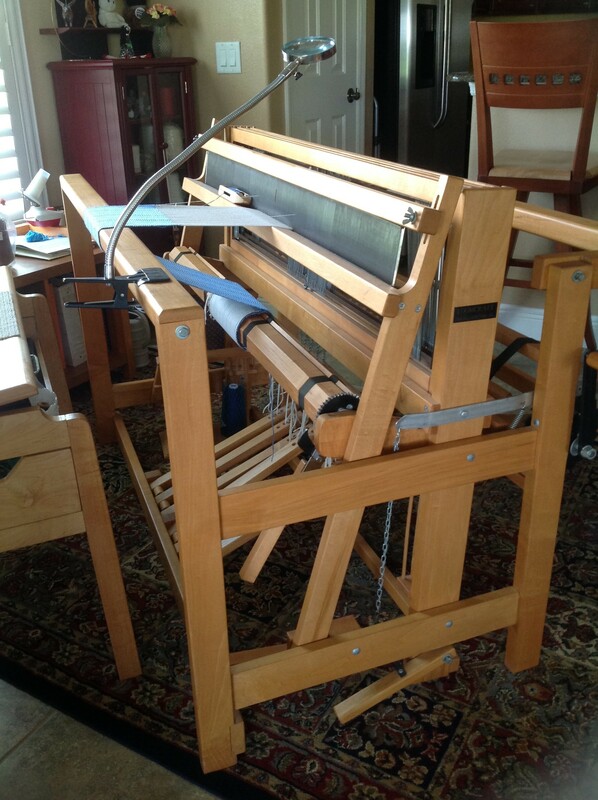 This 45” wide four harness Loomcraft jack loom is made of maple. It has a low castle, and it does fold. It comes with 8, 12, and 15 dent reeds, lots of extra heddles, lease sticks, and a roll of corrugated paper which is excellent for padding the warp on the warp beam. It includes a matching maple Loomcraft bench and a wonderful small 10” wide 8-H workshop loom. I would like $1800 for everything. I have a 32 inch Ashford Rigid Heddle Loom with stand and accessories for sale. Also included are 3 shuttles, 1 pickup stick, and 3 reeds: 20/10, 30/10, 10/10. Like new, asking $200. If anyone is interested email me at letrn@cox.net. I have a 40” Norwood cherry floor loom, matching bench with pockets, electric bobbin winder, warp board, large spool rack, reeds (6, 8, 10, 12 & 15 dent), shuttles, textiles and more. I also have a Schacht Baby Wolf 26” loom (I believe 4 harness), matching bench w/pockets, extra dents & more. All this is in excellent condition and located in S.W. Gainesville. My mother purchased the looms new in the late 80s, early 90s. She was a master weaver, but recently passed away. Do you know anyone who wants to purchase this weaver’s treasured weaving collection? My cell phone is 719-580-1252. Thank you. Visit our Study Groups page.